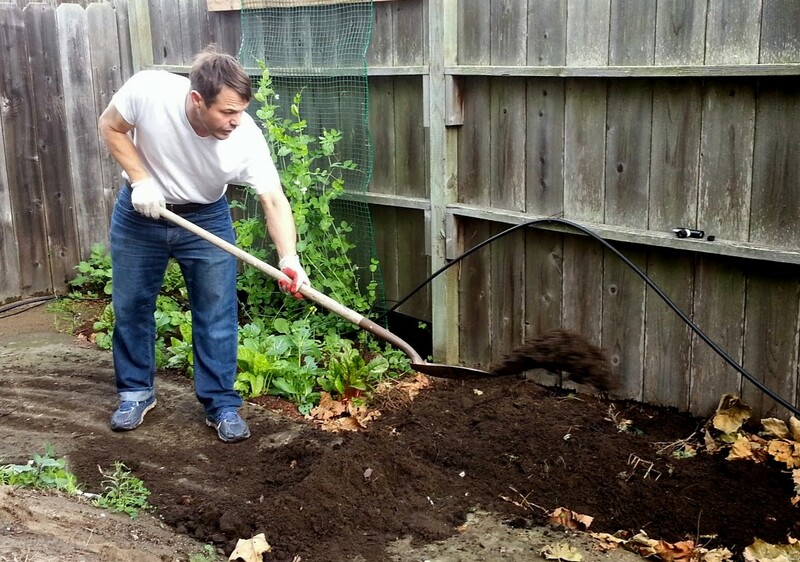 Earth Care means that the design adopted should restore and care for nature. People Care means that the design needs to meet the need of the people involved, e.g. healthy water and food, shelter, medicine, sense of community, income, leisure time, etc. Fair Share is the more controversial of the three ethical principles. Some say that you give your surplus to others who may need it, while others say that the surplus is re-invested into the system that was created (i.e. 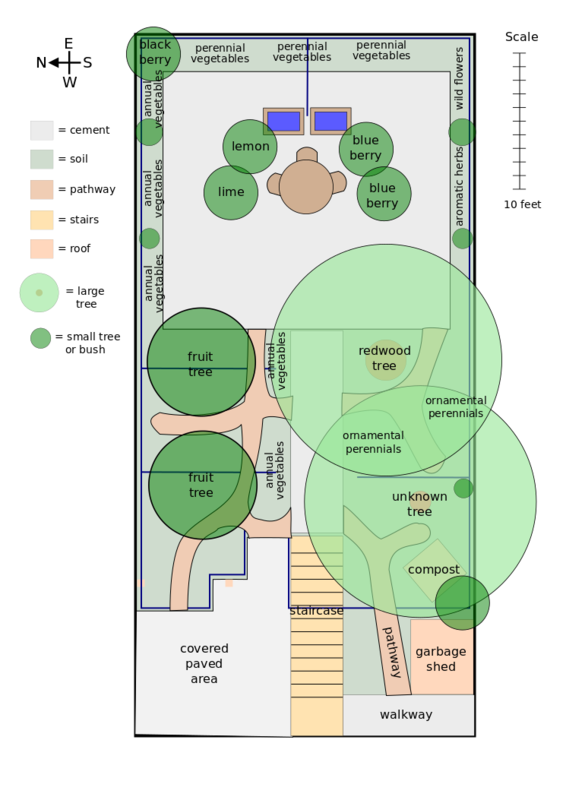 your own homestead, farm, or food garden). Traditional science offers many promising technologies and ideas such as solar power, water conserving appliances, and automated irrigation timers; however, each of these only offer a partial solution to environmental issues. 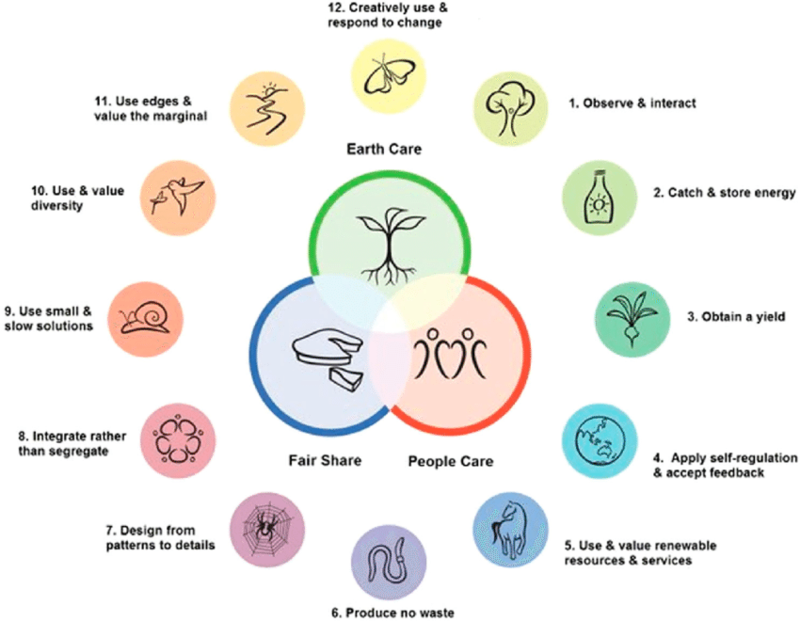 Permaculture uses a holistic perspective hence provides a larger framework to connect all these isolated strategies into one coherent whole. 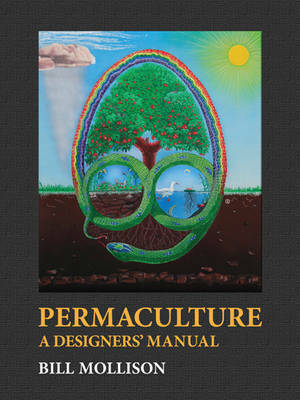 Bill Mollison, one of the founders of Permaculture, regrouped in a single manual (600 pages, 86 Megabytes) many time-tested methods of creating human settlements that are sustainable, abundant, and in harmony with the environment. 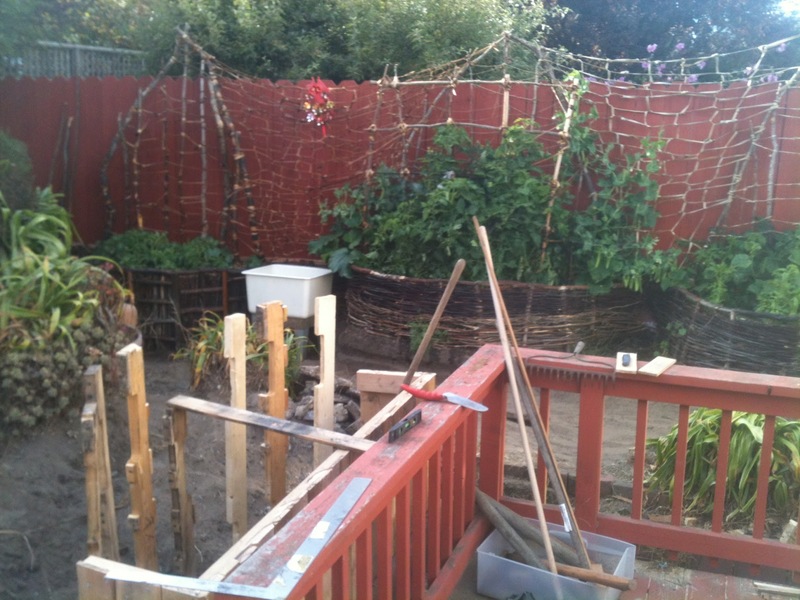 If you are curious to see how I have applied these ideas and principles in a practical way, have a look at the urban ecology experiments I have been doing.